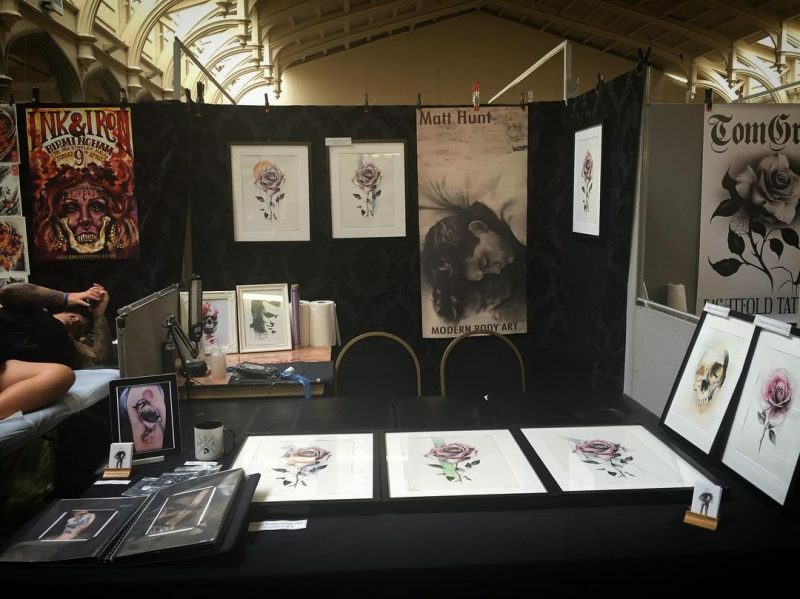 On 11th & 12th June it was the Bristol Tattoo Convention and Matt, Jo and Hanumantra attended. 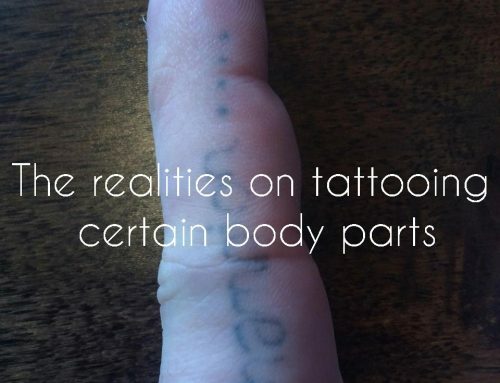 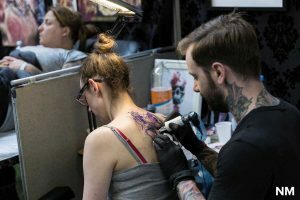 They were fully booked for tattoos over the weekend, but had other merchandise for sale. 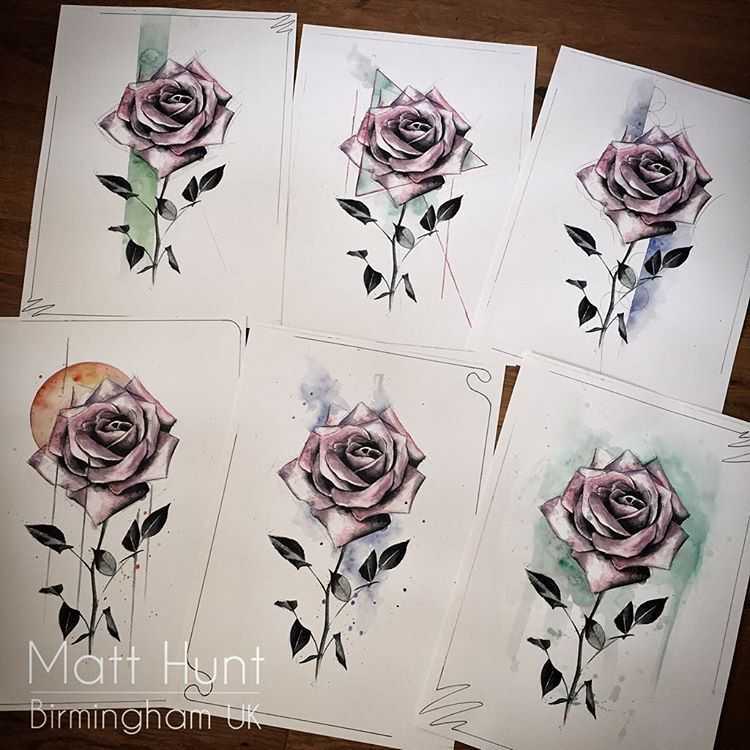 Matt had some gorgeous limited addition hand finished rose prints for sale, which didn’t sell out. 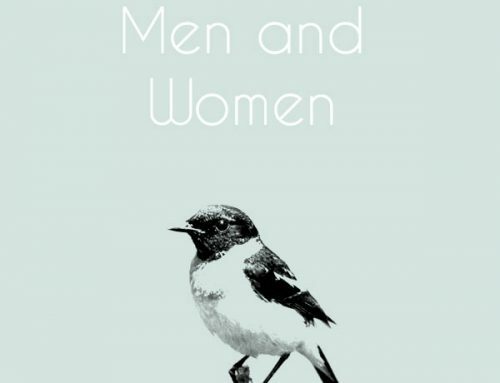 If you are interested in buying one, come and visit us at the shop in Birmingham. 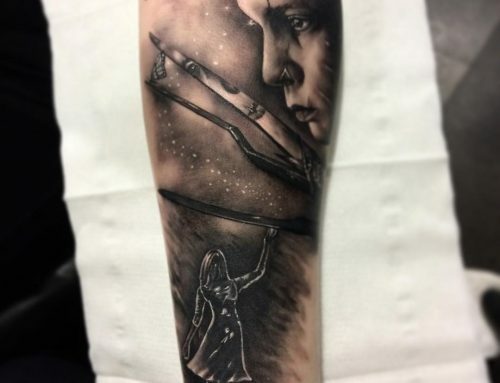 Both Jo and Hanumantra had dedicated customers who spent the whole weekend getting tattooed! 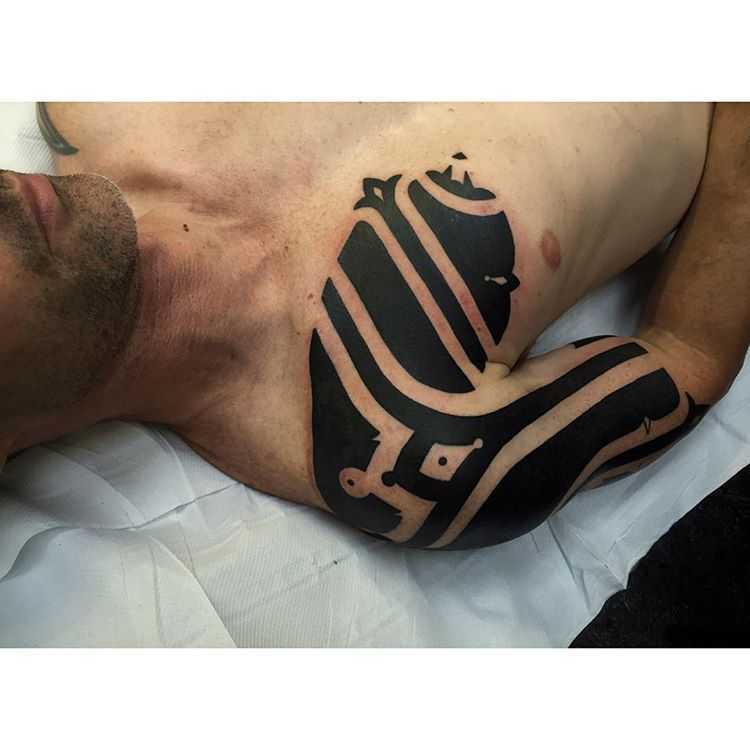 Hanumantra did this solid chest tattoo and Jo worked on a leg sleeve. 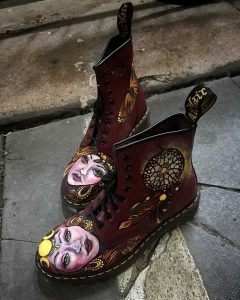 She also painted some amazing Dr Marten boots to be auctioned off for raise money for the chosen charity, Studio Upstairs. 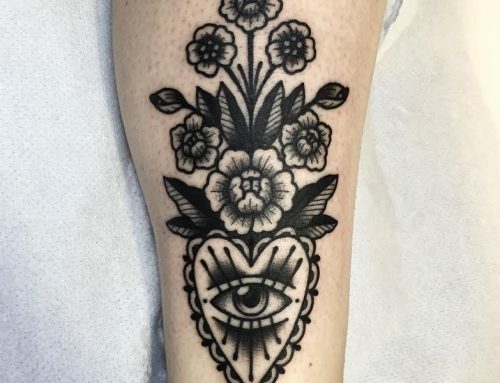 Frances Anne Faith guest spot. 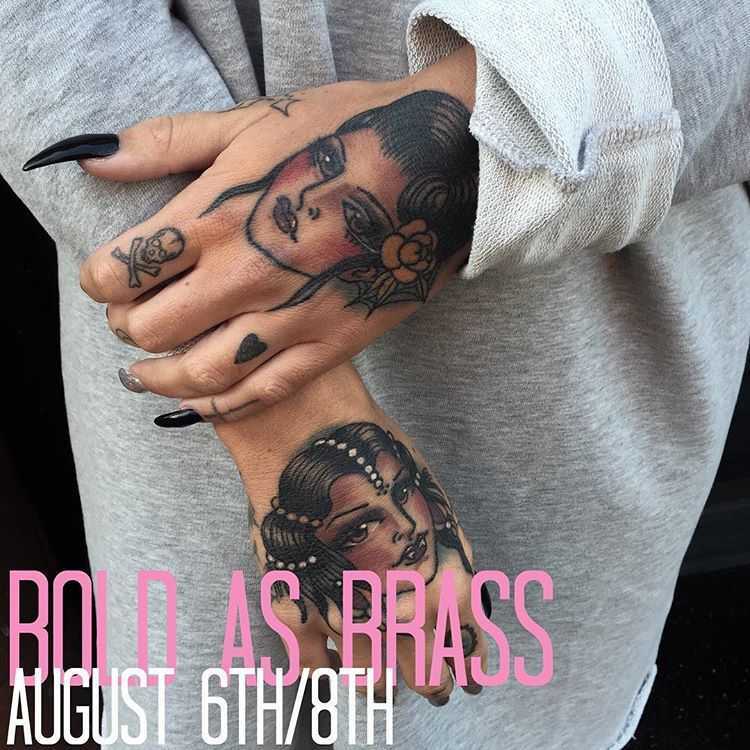 Our very own Frances is doing a guest spot at Bold As Brass on 6th-8th August. 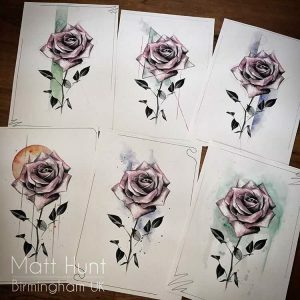 If you don’t live in Birmingham but would like one of her beautiful lady tattoos, this is your chance! 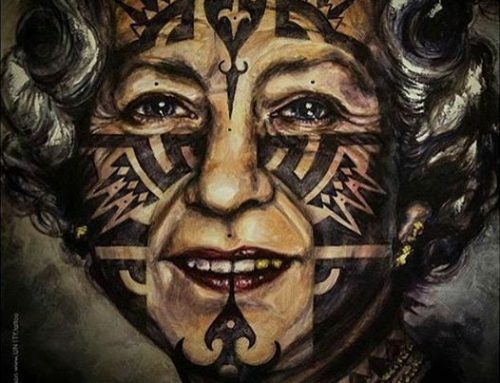 Please email her directly if you are interested in making an appointment.